With continued lobbying from the tech industry against ending the Deferred Action for Childhood Arrivals (DACA) program, Microsoft has made a bold statement to show that they will go to great lengths to prevent harm from coming to their employees. 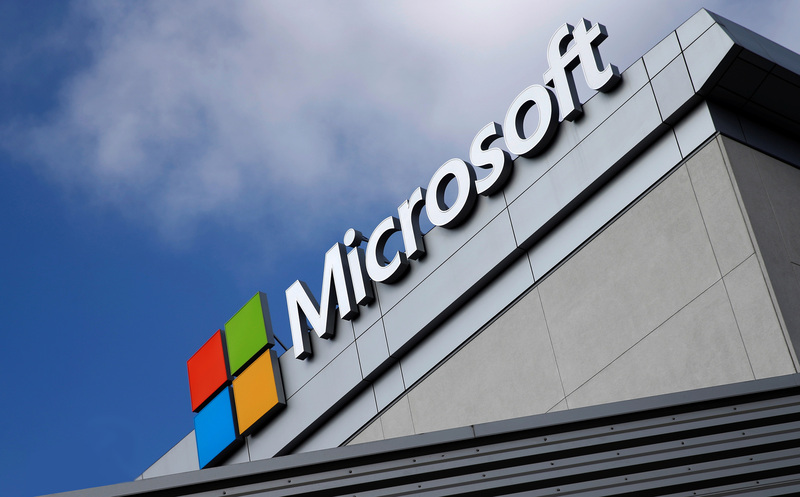 In an official statement from Chief Legal Officer Brad Smith, Microsoft has made it very clear that it will do all it can to ensure its current employees remain working in the United States regardless of their past. "If the government seeks to deport any one of them, we will provide and pay for their legal counsel. We will also file an amicus brief and explore whether we can directly intervene in any such case. In short, if Dreamers who are our employees are in court, we will be by their side." Regardless of individual opinions on DACA, a highly defiant statement such as this from Microsoft is out of character given that passing a new bill through Congress could be months away. Microsoft has encouraged the public to ask Congress to provide continued protection to immigrants that are living alongside citizens as equals. "But we need to put the humanitarian needs of these 800,000 people on the legislative calendar before a tax bill." Currently, Microsoft has identified 39 employees that would be affected should DACA be put to an end. Halting protection for immigrants that arrived as minors would put 800,000 people at risk of legal action and potentially deportation. According to Microsoft, immigrants living in the US are essential to economic success. The company believes it is a humanitarian requirement to allow them to remain where they now call home. There is still time for Congress to act on DACA, so Microsoft may never have to start funding legal counsel for its own employees. However, the message has been made loud and clear that the tech industry is adamantly against the removal of long-term immigrants. All they needed to do is get their citizenship when they turn 18, or when they found out they were illegal aliens. Wendig0, EClyde and seeprime like this. Tech industry loves cheap labor. It's how capitalism works. I'm pretty sure it's not that easy, otherwise many would have done it already. How many Microsoft employees do you suppose are under 18? Probably isn't. But it's probably easier than asking your parents why they set you up for failure by ignoring the law. Wendig0 and namesrejected like this. For sure. No one wants to live in fear of exactly what is happening right now. I can understand deporting people who's choice was to come to America illegally but deporting people who came to this country as minors? A vast majority of them didn't choose to come to this country, someone else made that decision for them. It's punishment for something they had no control over. wiyosaya, mcborge and cliffordcooley like this. None in the USA, but I'm sure they have many in China. "I didn't choose to break the law, so it doesn't apply to me." namesrejected, Kotters, Wendig0 and 2 others like this. I agree to a point, but it's not punishment for something they had no control over. Once they became old enough to make the choice to stay here illegally, or get citizenship, they chose the easy, cheaper route that costs tax payers. If anyone is to blame though, it is the parents because the parents taught them " this is the way to cheat the system ". I have a friend that works at Google, when he saw who was running in the elections he had already started getting his citizenship, now he has nothing to worry about, its done. I will say this though, I have had to deal with government BS before and can see where someone who was brought here illegally and doesn't know where they were born, has no documentation or anything would have a hard time. The government should make it fairly easy for someone with no criminal record and who was brought here as a child illegally to get citizenship. liammac002, Kotters, Evernessince and 1 other person like this. I don't know if you're trolling or not. But I find everything you comment on I agree with. I believe I even followed you. "If the government seeks to deport any one of them, we will provide and pay for their legal counsel. We will also file an amicus brief and explore whether we can directly intervene in any such case. In short, if Dreamers who are our employees are in court, we will be by their side"
And they'll need every dollar you have MS, because it's pretty well known that Obama mandating DACA through executive order was unconstitutional. If it were to go to court, it would lose. It needs changing - either by making it legal (by passing a law through congress like a democracy is supposed to) or by getting rid of it. Everyone loved King Obama when he did stuff like this - he looked so loving and considerate. But now - for better or worse - we have a president who believes we're supposed to follow the laws we've made. I don't know if you're trolling or not. The quoted post is both. While I understand his point (this issue is hardly as simple as merely violating the law), the only way to stop further abuse of the system is to make the difficult decision to deport people. If people in other countries come to the realization that they can't anchor their kids to the United States by exploiting the American public's sympathies (and gaming the legal system), they will have less incentive to illegally enter and take up residence here. Simply put, it is not their country and we shouldn't be accommodating to their exploitation of it. Gangryong and namesrejected like this. I have done some research into the issue at hand. These so-called "Dreamers" cannot become naturalized citizens of the United States even though they are currently here. The only way they can do so is to go back to their country of origin (for many of them that's Mexico), go to the US consulate in Mexico, apply for a green card, and then come here. Unfortunately getting deported makes it so that they are ineligible to get a green card hence the catch-22 that many of these "Dreamers" have. If you want to be a leader, you don't get to choose who the followers are. Likewise, if there are no followers, you aren't going to be a leader. I personally believe the government should make it easier if this is true. However, it shouldn't be a free ride too. I agree to a point, but it's not punishment for something they had no control over. Once they became old enough to make the choice to stay here illegally, or get citizenship, they chose the easy, cheaper route that costs tax payers. And once they become old enough, they pay taxes themselves. And I find it amazing in light of your wisdom just how many people would abandon any and all regulation regarding employment. You need to really look up and understand the meaning of 'straw-man' you use it wrong all the time. You told him there's 'more to it' and then linked something that proved his point. And since you brought up the topic of overused cliche argument techniques - I see you're employing the 'illogical hyperbole' strategy. Works like this... Person A says 'This regulation is horrible' you respond with 'You think regulations are horrible? So you'd just prefer we 'abandon any and all regulation regarding employment.' We also call this... reading what you want instead of what was written. Appropriate, since it's in your signature. @MilwaukeeMike this is why I stopped responding to him in non-tech threads. I dunno what clever point Wiyosaya thinks he's making. Tech companies love cheap labor, and will do whatever they can to get it.